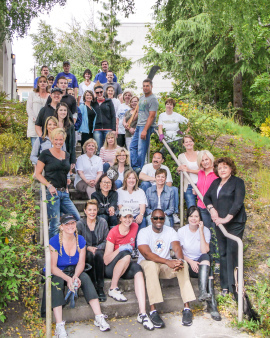 On Friday, June 9th, the brokers and staff of Windermere Bellevue will be volunteering their day with Kelsey Creek Farm in Bellevue for Community Service Day. Kelsey Creek Farm is your escape to the country centrally located in Bellevue. A variety of programs are offered year-round at the farm! They have ponies, sheep, goats, chickens, pigs, rabbits, and waterfowl. You can visit their farm every day of the year to see the animals and spend time at the picnic areas. Windermere Bellevue will be spending most of their Community Service Day with a lot of gardening, weeding, and general yard cleanup. They’ll also be cleaning the barns and getting them ready for the sunnier months ahead. Visit Kelsey Creek Farm online to find out more! On Saturday, nearly 300 Windermere Real Estate brokers from six Eastside offices came together for Windermere for Kids. For the 16th occasion, Windermere brokers donated $225 gift cards to over 100 kids from the community. 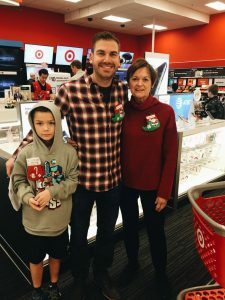 The morning of the event, each of the over 100 children between the ages of 7 and 12 (a “little shopper”) were given a $225 gift card to Target and partnered with a broker who helps the little shopper select gifts for members of their family. Unbeknownst to the little shopper, a gift for them was also purchased. Gifts were then taken into the mall to six large wrapping stations, each powered by 15 to 20 brokers. The gifts were wrapped, tagged and packaged for the little shopper to take back to their family. While they waited for the gifts to be wrapped, there were Santa pictures, crafts, and food and beverages to keep them busy. Since 1998, this event has been a favorite for brokers who year after year choose to support Windermere for Kids over having a company holiday party. Together, they helped deliver the holiday spirit to 109 deserving children and their families living on the Eastside. Over the 16 years of this event, Windermere Real Estate/East, Inc. has donated almost $250,000 to families involved in Windermere for Kids. See more pictures and find the original post on the Windermere Eastside blog. This blog post originally appeared on the Windermere.com blog.